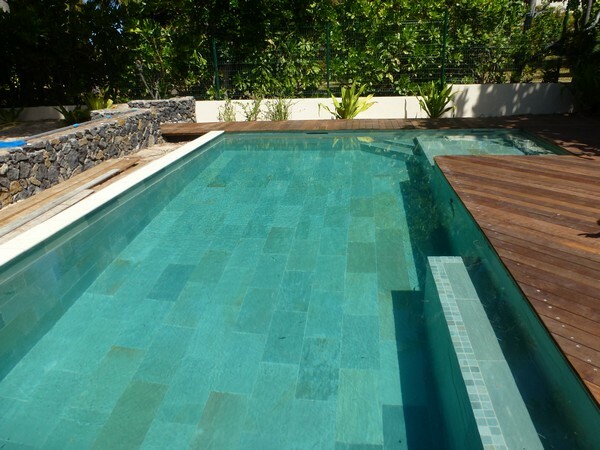 MARINAL: Swimming pools compatible with any coating. 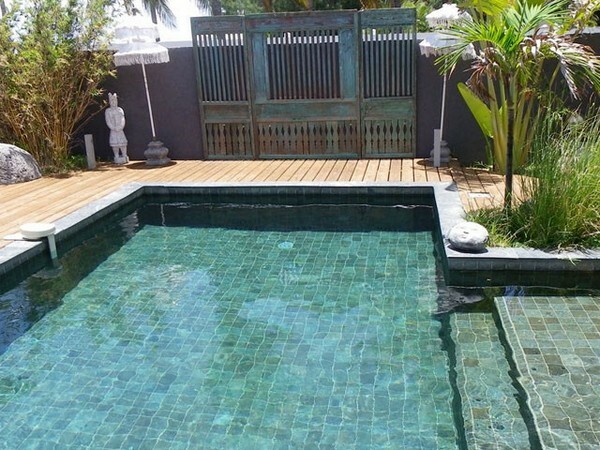 The coating of a swimming pool is a major element of its aesthetics; at this point, you choose its texture and colours. 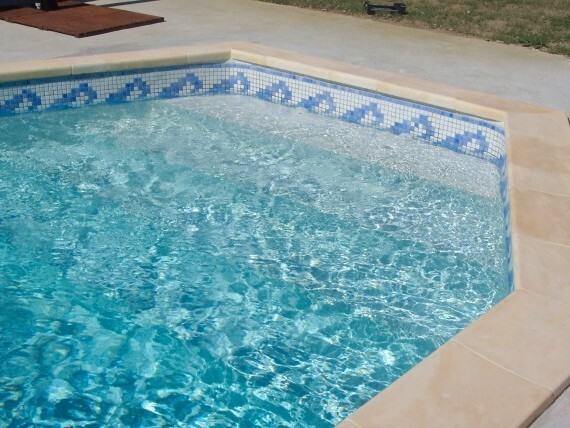 The great advantage of MARINAL concrete swimming pools is that they allow any kind of coatings. Concrete allows the implementation of coatings directly on the support (waxed concrete, tiles, coating or paint), or independent of the support (liner, PVC membrane or polyester). Therefore you can choose the finishing touch you prefer, according to your aesthetic preference and your budget. 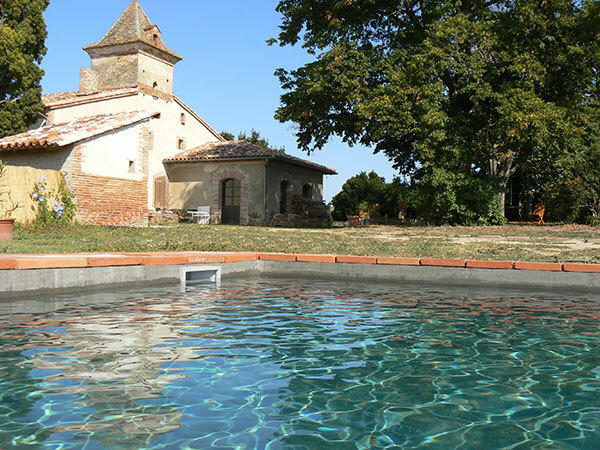 MARINAL reinforced concrete swimming pools are watertight guaranteed thanks to their one-piece construction method. The final coating can be made of a marble and additives mix, or a trendy waxed concrete. The application is uniform and gives a perfectly smooth and natural finish. 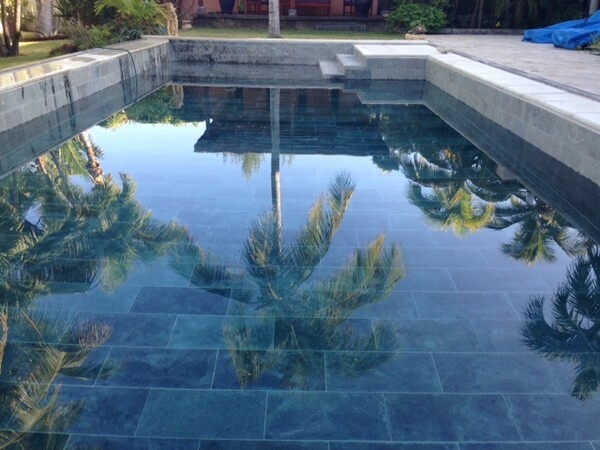 Finish coat and waxed concrete are very resistant and offer a remarkable aesthetic aspect. Colours can be customised ad infinitum and you can also associate your coating or your waxed concrete with a tiles decorative frieze. 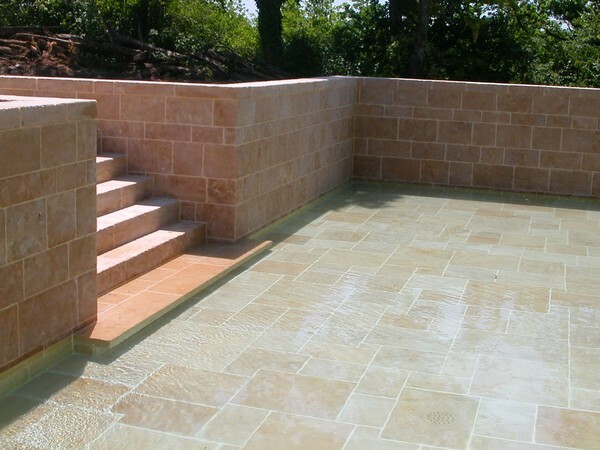 It is possible to use special paints for swimming pools, to be applied on a primer, directly on concrete. 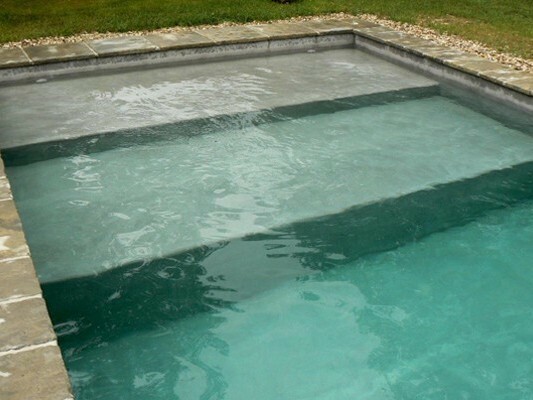 This special swimming pool paint is certainly the least expensive solution, but also the least durable. It will be necessary to repaint every 3 years. Our advisers will rather direct you towards finishing coats that offer a more aesthetic and durable aspect. 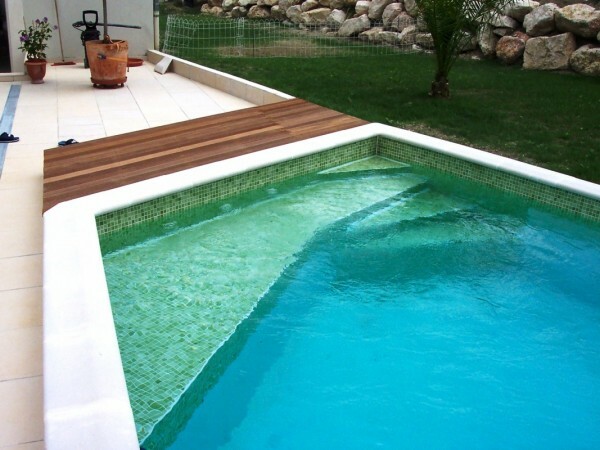 Liners, PVC membranes or polyester are known as coatings “independent from the support” because they can be adapted to all types of swimming pool constructions. They are cut to measure and have a watertight role. 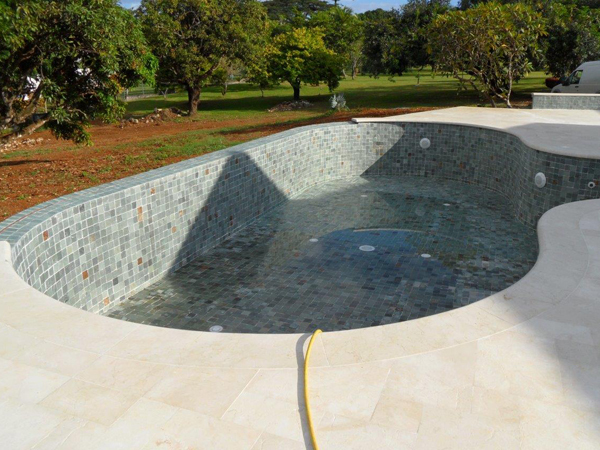 These flexible membranes are affixed inside the pool to perfectly stick to the walls and curves and to seal the structure. 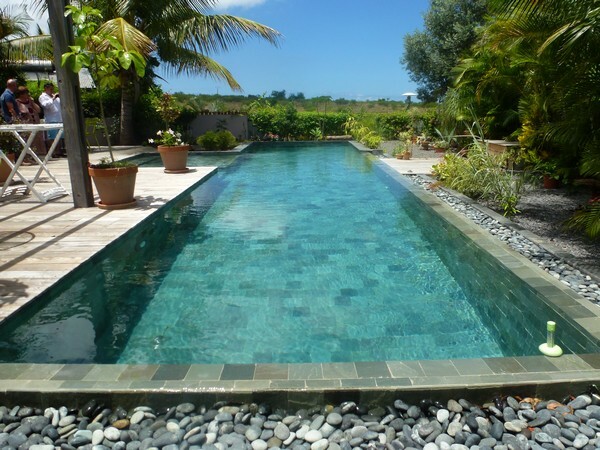 In consequence, these coatings are generally used for swimming pools whose construction is not watertight by itself. 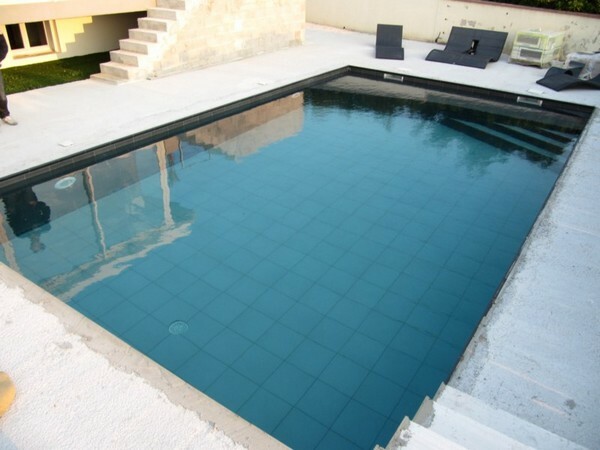 During the study of your concrete swimming pool project, your MARINAL specialist will be at your disposal to discuss of the coating which will be best appropriate.